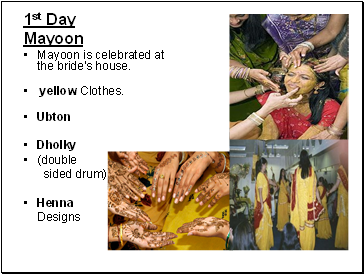 Mayoon is celebrated at the bride's house. The groom's friends and family bring henna for bride, and the bride's family does same for the groom. 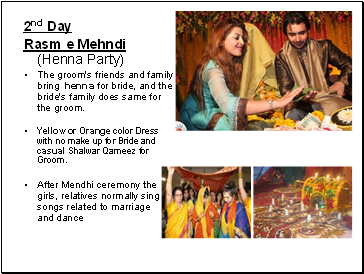 Yellow or Orange color Dress with no make up for Bride and casual Shalwar Qameez for Groom. 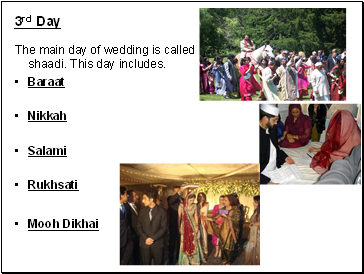 The main day of wedding is called shaadi. 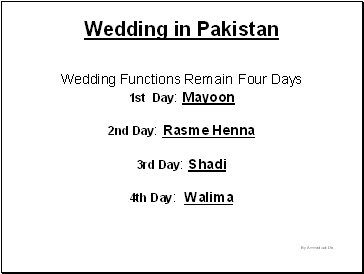 This day includes. 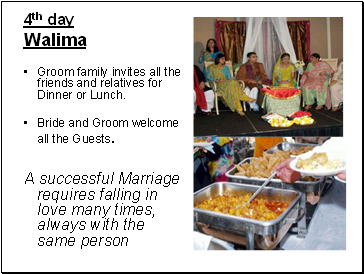 Groom family invites all the friends and relatives for Dinner or Lunch. Bride and Groom welcome all the Guests.